Earn up to $8 CASH/unique trip this week! Refer here for valid Pickup locations within CBD, Queenstown/Redhill, and Central. Keep 100% of your fares for GrabCar Premium jobs! This means you pay no commissions! 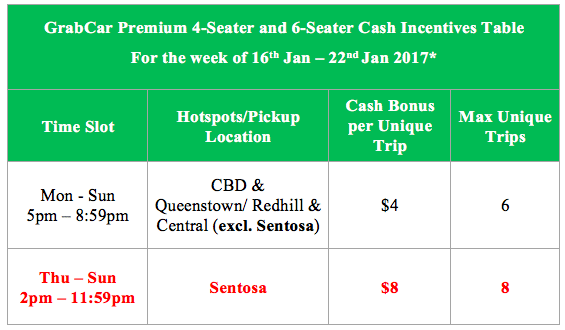 Just maintain an Acceptance Rate of 80% & above, and Cancellation Rate of less than 15%, in your GrabCar Premium segment from 16th to 22nd January 2017. 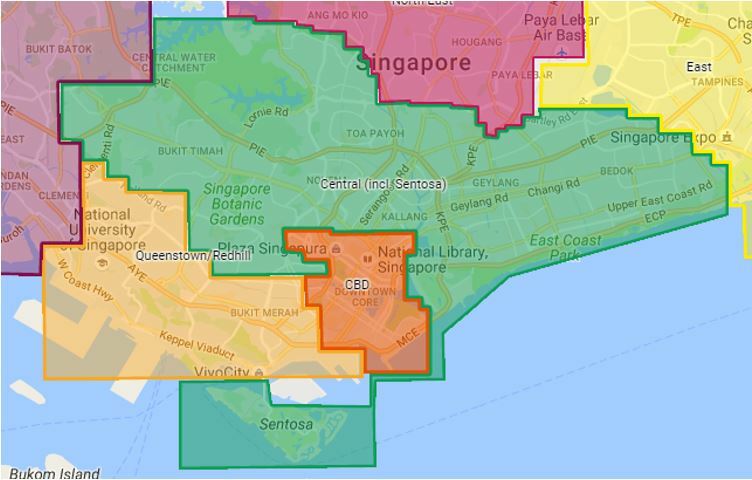 Note: Grab’s 20% commission (excludes surcharges and tolls) will be automatically deducted first as per normal, and fully refunded into your credit wallet in the week starting 23rd January 2017.